Bring a large pot of heavily salted water to a boil over high heat. Cook the pasta according to package directions. Rinse under cold water and pat dry thoroughly. Shells can be cooked off up to four days ahead. Oil lightly to prevent from sticking, cool, then store refrigerated in an airtight container. Heat oil in a large saucepan over medium heat. Add onion and chorizo and cook until browned, about 5 minutes. Drain off all but 1 tablespoon of the drippings and return the pan (with the chorizo and onions still in it) to the stove. Add tomatoes, season with sugar, salt, and freshly ground black pepper, and simmer until sauce is slightly thickened, at least 10 minutes. Set aside to cool slightly. Meanwhile, coat 2.5 to 3-quart baking dish with oil and set aside. If the tomatoes are particularly sour, you may need to add additional sugar. Sauce can be made up to four days ahead and stored refrigerated in an airtight container. Heat the oven to 375°F and arrange a rack in the middle. Meanwhile, combine remaining ingredients in a large bowl and mix to evenly combine. Spoon half of the sauce in prepared dish. 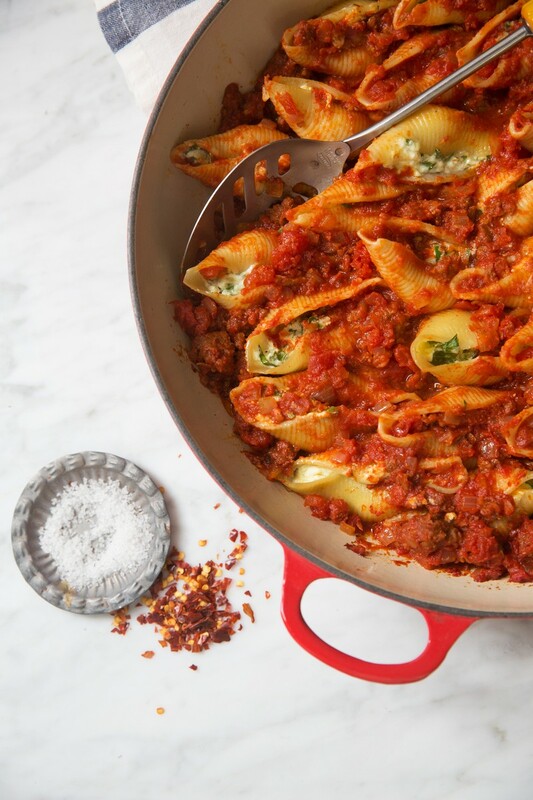 Stuff each pasta shell with a heaping tablespoon of the filling and arrange the stuffed shells in the dish. Spoon remaining sauce over the shells and cover with aluminum foil. Shells can be assemble up to two days ahead. Store refrigerated until ready to bake. Bake until pasta is cooked through and sauce begins to bubble, about 25 to 30 minutes. Let rest 5 to 10 minutes before serving. In the bowl of an electric mixer fitted with a dough hook, add the flour, yeast, oil, water and sugar and on low speed knead for 5 minutes. Add the salt and knead for another minute until elastic. Flour a board and line a baking tray with paper and spray with oil. Divide the dough into eight pieces and roll into eight balls. Place on the oiled, lined tray and spray balls with olive oil. Cover with cling film or a large zip lock bag or plastic bag or wrap and place in the fridge overnight. If you don’t have time, place in a warm place for 1-2 hours until risen. Line three baking trays with parchment. Dust a clean surface with polenta or extra flour. Flatten out each ball of dough and roll into a larger round, about 20cm/8 inches in diameter. Fill with the cheeses, salami and sun dried tomatoes. Brush a little egg wash around the edge and seal edges together. To prevent the crimped edges from being too thick, press them down to thin them and then crimp them. Place three calzones on each tray. 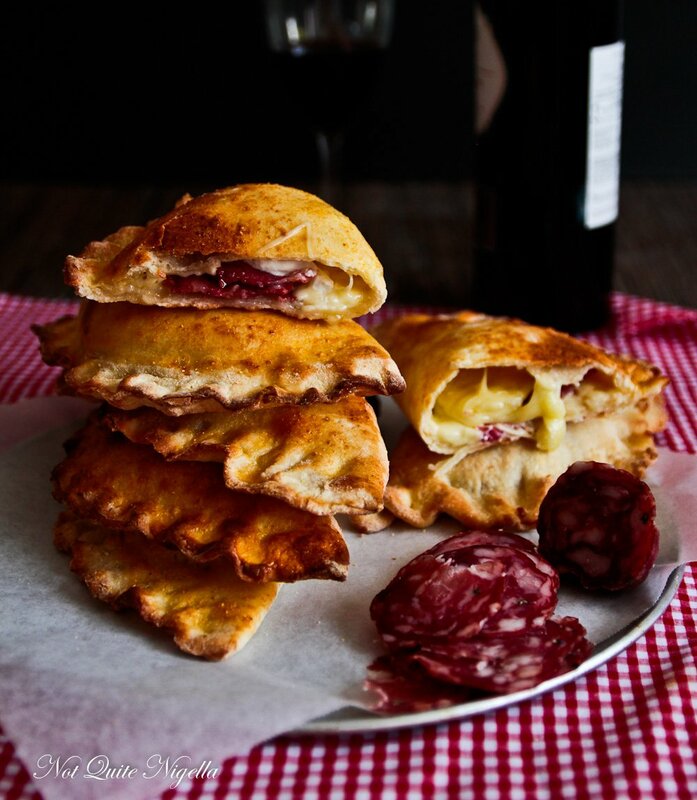 Prick each calzone a few times with a fork (so that they don’t explode their filling). Rest for 15 minutes. Preheat oven to 240C/464F. Brush with egg wash and bake each tray of calzones for 12-13 minutes. Preheat grill to high. Tear figs in half. Place, torn-side up, on a lightly oiled oven tray, then drizzle with extra oil. Season with salt and freshly ground black pepper, then grill for 5 minutes or until warmed through. Meanwhile, whisk lemon juice, oil and a pinch of salt in a small bowl. 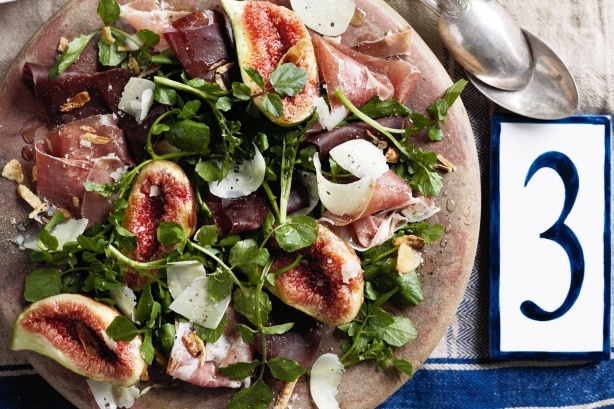 Arrange bresaola, prosciutto, watercress and parmesan on a large platter. Top with figs, then drizzle over dressing. Scatter over shallots and stand for 15 minutes to allow flavours to develop. Divide among plates to serve. Top tips: Bresaola, a cured, air-dried beef, is from the Lombardy region of Italy. 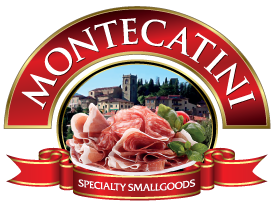 It is available from delis and the deli section of supermarkets. Substitute salami. Fried shallots are from Asian food shops and supermarkets.